Family therapists teach that the family is more than a collection of separate individuals; it is a system, an organic whole whose parts function in a way that transcends their separate parts and individual characteristics. But even as members of a family system, we don’t cease being individuals with hearts, minds, and wills of our own. Family therapy can work with the family as a unit, without losing track of the individuals that make it. Almost any human difficulty can be treated with either individual or family therapy; however, certain problems are especially suited to the family approach. Examples of these types of problems include the following situations. Problems with children. Children who go through individual therapy must return home to the influence of their parents regardless of what happens in their therapy sessions. Family therapists believe that the dominant forces in our lives are located externally, in the family. Therapy based upon this framework is directed at changing the organization of the family. When family organization is transformed, the lives of every family member are altered accordingly. Changing a family changes the life of each of its members. The resulting improvements can therefore be long lasting because each family member is changed and continues to exert synchronous change on each other. Is there something that you want to change about your family? Is there something you want to achieve; is there a goal that has special meaning for you? Maybe it’s a small change in behavior or habit. It might involve a conflict between members or a struggle of some kind. Then again, you all might be trying to embrace a bold and challenging dream or a new direction for the family. It is all possible, but sometimes, the things we want the most or are the most important to us, can also be the most difficult to achieve. Sometimes these all important goals are just on the other side of our own doubts and uncertainty. And sometimes, communication can seem impossible when the issues are that important to you. I work with your family, not as a family counselor, but as a dedicated strategist and partner in assisting your family with their goals and dreams; helping to resolve problems or disputes. This is a focused, goal oriented program custom tailored to the needs and ideals of your family. We are all born with tremendous capabilities, incredible gifts and powerful internal forces that can dramatically transform our lives. The dynamics of a strong and motivated family, properly motivated, can achieve anything, can solve anything, and can rise above anything. Sometimes, we may just need a little help to get in touch with these elements, to deal with these issues, and direct our energies in a way that they can be used to our best advantage. Create a plan of action with you relative to your family’s goals and needs. Encourage new approaches and different passageways through trials to meet goals and arrive at your desired destination. Implement unique methods, models, and strategies to keep your family motivated and moving forward during your journey. Introduce concepts and skills to be used throughout life in a multitude of diverse situations. Transform your family life, whether problems are small or what may seem like a mountain. Empower your family to move forward in a new, liberated family that is based upon the possibilities that you and your family have always dreamed of having. Your family strategist will work directly with you and your family to create a personalized plan of action that resonates with your family. Respond to each family member’s unique needs. Guide, teach, provide feedback each step of the way and be your fully invested, true ally. Are you ready to resolve differences and overcome challenges that most families face? If so, let’s work together to make the changes that will lead to a happier, healthier and more productive family life. Contact Family Strategies services to begin your transformation. 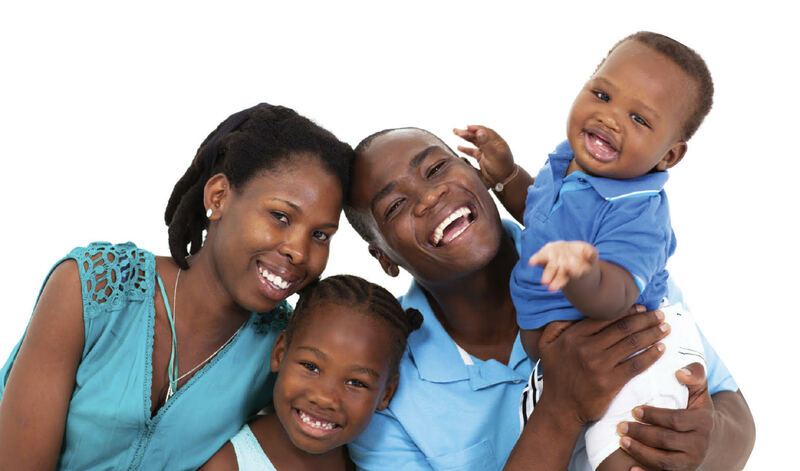 Marital / Family Strategy Services has also been recognized as Family Mediation, Family Intervention, and Life Coaching. Regardless of its label, the process is about the same. It is a process where a third party, the Mediator or Strategist, works with the family, couple, or individual as a non-biased outsider. In this position, the counselors at Family Strategies bring a new perspective to the table and fresh ideas. In doing so, the process opens the participants to an unseen before resolution. Many people face issues in their marriages and relationships that prove difficult to resolve without outside assistance. Marital Strategy Sessions are a series of guided negotiations in which the participants craft practical solutions to the issues troubling their relationship with the assistance of this neutral third party. FS offers these two programs. Marital / Family Strategy offers a professional alternative to both marital therapy and to the religious orientation of pastoral counseling. This form of gathering is designed to develop concrete solutions in a defined period of time. It helps couples resolve family conflicts that eventually would lead to separation, if left unattended. The issues of finances, parenting responsibilities, communications and intimacy issues, career conflict, and disputes that arise from other family members or community issues can be discussed and resolved. Sometimes the issues range from allocation of household tasks through addressing infidelity or religious disputes. Ready to take the next step, reduce stress and discover resolution to these challenges? Contact Family Strategies today. We are hear for you. You said “YES!” Wedding plans are under way, and now it is time to prepare spiritually, mentally, emotionally, physically and intellectually for the life after the wedding day. PREPARE / ENRICH is an effective program designed to help those, like you, prepare for a smoother transition into this exciting and challenging new stage in their lives – marriage! What is the Prepare/Enrich Program? PREPARE / ENRICH is based on a set of five inventories that examine major relationship issues a couple may experience throughout their married lives. These inventories must be administered by a trained PREPARE / ENRICH Counselor and include 4-6 feedback sessions in which the counselor facilitates discussion between the couple based on the results from the initial inventory assessment. There are six goals of the PREPARE / ENRICH Program. In order to achieve these goals, there are also six corresponding couple exercises designed to help couples improve their relationship skills. The program is scientifically developed and designed to assess relationship strength and growth areas. It can be used successfully with premarital and married couples, and it is specifically designed to help couples get their marriage off to a better start and enrich their marriage. 18161 Morris Ave. Ste. 208, Homewood, IL 60530 | (708) 340-7033 | KFKoons@FamilyStrategies.com | © Family Strategies 2017, All rights reserved.